I've done a post on some beauty myths before, and included in there was the very commonly used "You can open and close pores," and the rather amusing, "pores can shrink". So today I thought I would cover these grounds in a bit more detail. Although pores are often an unsightly nuisance to many of us, they do serve a purpose. A pore, houses a hair folicle and a sebaceous gland, and is basically a gateway for sebum, our skins natural oil, and a pore is just the route it has to take to reach the skins surface. Now let's get in to the beauty myths, and some facts about your pores. Myth: You can shrink your pores. 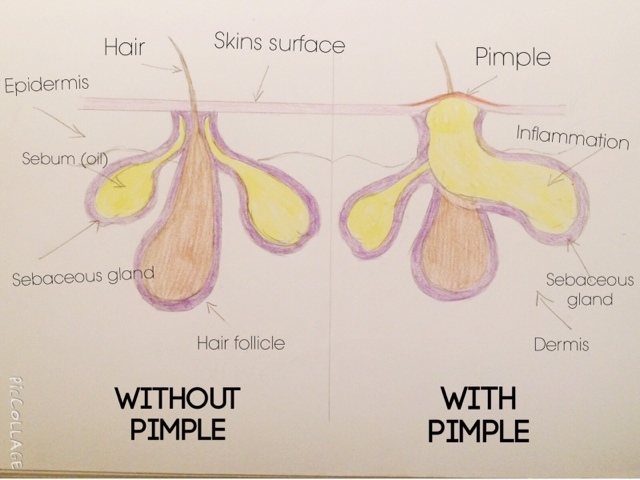 Pore size is mainly down to genetics, but some can be slightly larger because of the size of the hair follicle and oil gland. But it's also down to the state of our skin. As we all know, when we get clogged pores it's usually due to a build up of dead skin cells, dirt and oil, and they can make pores appear larger and can stretch slightly too, but only temporarily. Fact: Aging and sun damage also contributes to pore size. If you want to make your pores appear less visible, then using a good primer on your skin will help to fill in the mores and diminish their visibility. Simply apply your regular foundation over the top and voila. Just don't confuse this with getting rid of them, as the primer does fill in your pores, but don't expect miracles, as it will only last for as long as it is on your skin - just make sure to remove it thoroughly every night. A good tip is to do a regular detoxifying mask or facial peel to exfoliate your skin and really clean out your pores. This will give you the appearance of smaller pores, when actually, they're just clean and are no longer clogged full of gross stuff. 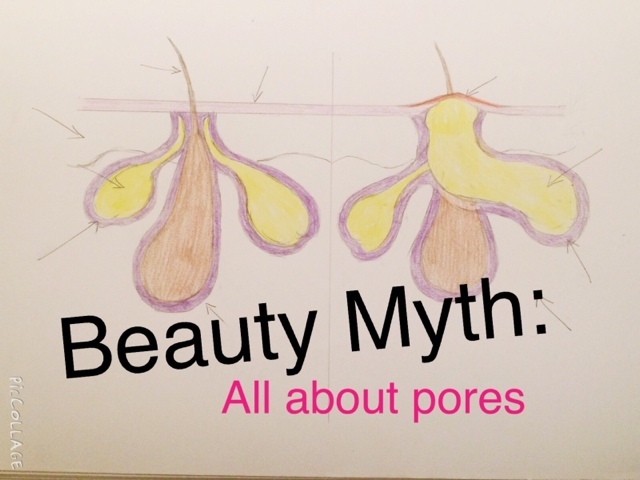 Myth: Pores can open and close. I hear it everywhere, "you need to open your pores when washing your face and close them when you're done," or "a toners job is to close the pores" FYI that's 2 incorrect statements there. There is just no support in these statements whatsoever. ... But they do not have the muscles around the opening to allow them to open and close. Therefore, this whole "splash your face with cold water to close your pores" business is complete BS. Myth: The black dot in black heads is dirt. Excessive clogged pores, as well all know, leads to blackheads. The black dot known as the blackhead, is not dirt, but is oxidation - a chemical reaction between oxygen and sebum. You can't just scrub away at your skin to get rid of the problem, you have to get deep into the pore and clean it out and then take the necessary steps to keeping your pores free from build up. FACT: You can prevent blackheads. A good Salicylic acid cleanser is great as this gets rid of debris and bacteria and will keep your pores cleaner, and therefore less obvious. Myth: You can get rid of pores. I'm afraid not. You cannot banish them completely. They serve a purpose, remember? But, with the right skincare, you can make them less noticeable by removing excess sebum, dirt and makeup from the pore. FACT: Cleansing really does help your skin. Cleansing your skin twice a day can also help to make sure your pores are clean and free from blackhead creating, larger pore appearing, monsters. When you are sweaty, any oil sitting at the mouth of the pore (so basically on top of your skin) can be made to appear larger by light reflecting off it, so if you are sweaty after a work out or whatever the case may be, make sure to clean your skin and get that oil off your face so it doesn't get sucked into those pores and create problems in the future. 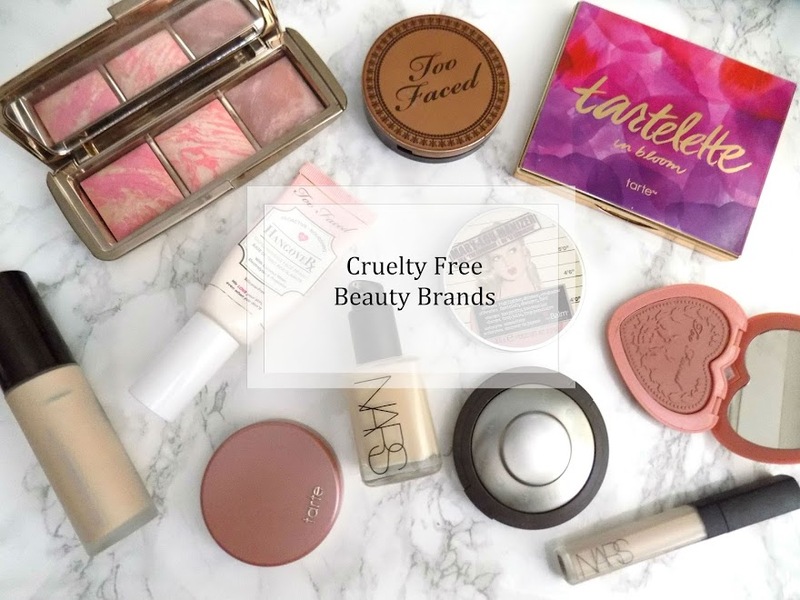 So, I hope this has cleared up some of those little beauty myths and has been helpful and that you have learnt something from it. If you have any tips for reducing the appearance of pores then please let me know in the comments. Do you have any other myths you want me to focus on?